The topic for debate was to discuss whether the United States should raise its refugee admissions ceiling to 75,000. Students debating in support of the statement were Olivia Northcutt-Wyly of the School of Science and Engineering and Asya Taylor of the Judge Barefoot Sanders Law Magnet. Debating against the statement were Zoe Osborn and Christian Mendoza of the School for the Talented and Gifted. The judges selected Osborn and Mendoza as the debate winners, while Northcutt-Wyly and Taylor were selected as the audience choice. 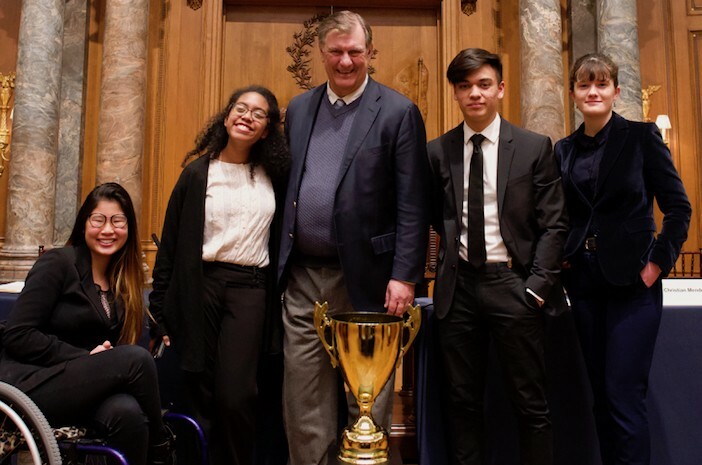 The nonprofit Dallas Urban Debate Alliance, founded in 2007, supports the access of competitive academic debate to high schools in the Dallas area.